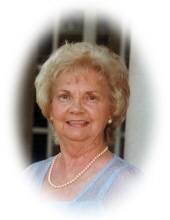 Mrs. Imogene Knowles Styles, age 86 of Bowdon, Georgia passed away Friday, November 9, 2018. Mrs. Styles was born in Cleburne County, Alabama on March 2, 1932, the daughter of the late Chester C. Knowles and Pearl Izabelle Robinson Knowles. She worked at Lilly’s Flower Shop in Bowdon and later retired from Sewell Manufacturing as a seamstress. She was a member of the Indian Creek Baptist Church. Survivors include her daughter and son-in-law, Kay and James Heard of Bowdon; son, Steve Styles of Bowdon; grandchildren, Casie (John) Hembree, Crystal (Andrew) Lovvorn, Stephanie Styles Cash, Keith (Kelly) Heard, Phyllis (Sonny) Archer; great grandchildren, Anderson, Carson and Katelyn Hembree; Lily and Lyndi Lovvorn; David and Becky Heard; Carly, Ellie, and Isabelle Archer, sister, Laura Hutcheson of Bowdon and brother, Dwight Knowles of Franklin, GA; Besides her parents she was preceded in death by her husband, Ragan Styles; brother, Olen Knowles and sister, Virginia Cobb. The family will receive friends at Almon Funeral Home on Sunday from 12 noon until 1 p.m.
Pallbearers will be Shane Knowles, Scott Knowles, Paul Knowles, John Hembree, Andrew Lovvorn and Denny Heard. Interment will be in Indian Creek Baptist Church Cemetery. "Email Address" would like to share the life celebration of Imogene Knowles Styles. Click on the "link" to go to share a favorite memory or leave a condolence message for the family.